Portuguese domain investor, Jose Augusto, has been involved with the IDN and ccTLD domain markets for several years. When the dot .ES ccTLD became deregulated, he became infatuated with the opportunity to invest in “domain hacks“, domains where the keyword and TLD combined form a single word. His recent sale of the domain Freebi.es for four figures to Julie’s Freebies is one such example of potential use. Augusto owns several other quality dot .ES domain hacks, such as proxi.es, scor.es, siz.es, typ.es, and templat.es. Augusto is a big fan of the dot .ME ccTLD, and he’s using it to showcase his app landing pages. 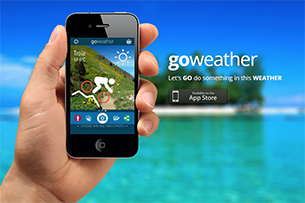 Two such examples are GoWeather and InstaFeeling. 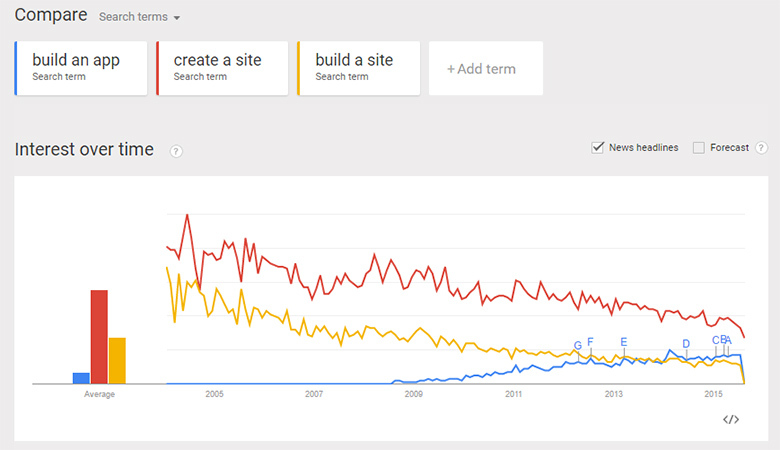 Augusto explains that the search volume for “build an app” has steadily increased over the years, while “create / build a site” searches have plummeted, as seen in this Google Trends chart. Whether pure domain investing is your thing, or application development using domains as landers, the story of Jose Augusto is a great example of versatility in today’s interconnected world.